A funding cut tucked away in the appendix of the White House budget proposal would eliminate the Department of Energy's central policy research unit, potentially complicating the administration's own efforts to understand the changing nature of the grid. The Office of Energy Policy and Systems Analysis (EPSA) has served as the primary policy adviser to the Secretary of Energy since Secretary Ernest Moniz created it in 2013. The unit gathered a few dozen researchers to form a central clearinghouse dedicated to understanding the system-wide operations of the nation's energy networks, outside of the narrower focus of the various fuel-based program offices. If the budget cuts become reality, the annual EPSA funding of $32 million will drop to $10 million in fiscal year 2018, before zeroing out altogether. "The program is being phased out and will be closed in FY 2018 to eliminate duplication of effort and thereby increase DOE efficiency," the budget appendix states. That money is a tiny speck among the trillions of dollars of proposed cuts, and it's not unusual for a new secretary to makes some changes to the organization of the department. This move, though, would disband the principal energy systems analysis unit at a time when both Secretary Rick Perry and President Donald Trump have called on the DOE to perform vital systems-level research. In mid-April, Perry initiated a 60-day grid reliability study to determine whether the changing energy mix and policies to incentivize renewable energy were undermining grid reliability. This task requires system-wide analysis of the interrelated effects of different energy sources. On May 11, Trump issued an executive order calling for Perry and others to deliver a report within 90 days on the estimated fallout from a cyberattack on the nation's electric grid, including "any gaps or shortcomings in assets or capabilities required to mitigate the consequences of such an incident." Both projects match the description of the sort of work EPSA was created to tackle. Moniz came to lead the department from the Massachusetts Institute of Technology, where he oversaw multidisciplinary research as the founding director of the MIT Energy Initiative. When he arrived, he structured EPSA with an understanding that "unbiased policy analysis will provide the best foundation for [the] least-cost, highest-impact ways to transform our energy systems,” according to a 2014 blog post. Increasing DOE operational efficiency, then, was baked into the mission of the office from its inception. Granted, it's hard to measure the efficiency savings an analyst team can provide to a mammoth federal department, but here's a rough indication. EPSA played a leading role in the Quadrennial Energy Review, the first installment of which came out in April 2015. It featured a comprehensive, interdepartmental analysis of transmission, storage and distribution infrastructure, resulting in 63 action items. A follow-up report card 18 months later found that 29 recommendations were fully implemented and 21 were underway at differing levels of completion. That included 21 items passed by Congress, such as a modernization of the Strategic Petroleum Reserve. This means, at the very least, that policy analysis conducted by this office was determined to be valuable enough to guide legislative and executive action on critical electrical infrastructure within a matter of months. It's not clear how the work of the policy shop is being duplicated elsewhere, as the budget document contends. A request for clarification to the DOE press office was not answered by the time of publication. Policy analysis does occur elsewhere within the department, but EPSA's approach is unique. The structure of the Energy Department, with separate program offices for different energy sources like nuclear, fossil fuels and renewable energy, asks the members of those offices to focus on their subject area more than others. Devolving the independent research duties to offices with more narrowly defined purviews would change the nature of the work. "EPSA was established with a strong emphasis on rigorous analysis and is organized to look at energy issues using a systems approach, which is difficult to do at the program level," said Karen Wayland, executive director of the Clean Energy Project in Nevada, who previously served as an EPSA deputy director. "In fact, we had many detailees from DOE's programs who provided their deep expertise to analyses that were broader in scope than the work done by the programs." Before the formation of EPSA, the policy office had been housed under the international affairs office, which meant that the leadership of the section had to juggle domestic policy with a packed schedule of international trips. The budget does not mention a reversion to that status, indicating there might not be a dedicated policy unit if the change is implemented. 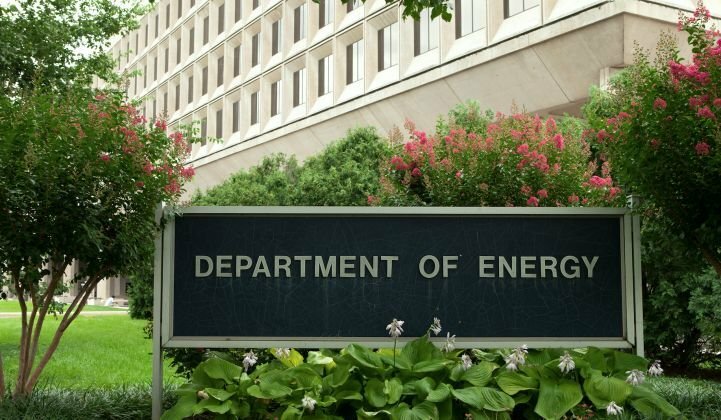 “For 40 years, the department has had a crosscutting policy function, and I’m not sure what’s changed that this administration doesn’t think it needs a centralized policy function irrespective of the vested interests of the range of fuels or end uses,” said a source familiar with the history of DOE. Congress needs to approve the budget cuts before they can take effect. The administration is asking for much larger cuts to many other sections of the department, including the congressionally authorized Advanced Research Projects Agency for Energy, which invests in early-stage research to tackle key grid challenges. A few million dollars for energy systems research could easily get lost in the shuffle. If that happens, it would leave an unclear chain of command for the kind of rigorous policy analysis that will only become more important as fundamental grid changes continue.